After a rocking good time seeing the The Dan Band at the House of Blues we woke today and took our time getting to the Rock and Roll Chicago Half Marathon Expo. The expo was in true Rock and Roll series tradition, well-organized and lots of products for sale. We got to see the medals and they look sweet! Also, the running tech shirt design is very cool! As we were walking around and saw that Kara Goucher (1st Place Overall at 2009 RNR Chicago Half Marathon, 3rd at Boston Marathon, amongst other amazing creds and running pro) was speaking in 15 mins!! I freaked! We hurried up and snagged front row seats to hear her interview. Then while waiting, we see her standing off to the side of the stage. We went up and asked if I could get a picture with her and she chatted us up for quite a while! We discussed her pregnancy, how her back has been giving her trouble, her working out with Paula, how Adam did a great job of sticking with her most of last year’s RNR Half Chicago, how she has backed off her training for her upcoming due date at the end of September. She was totally amazing! I had to apologize for being trembly when we took the picture, once again I was so nervous meeting someone so talented. 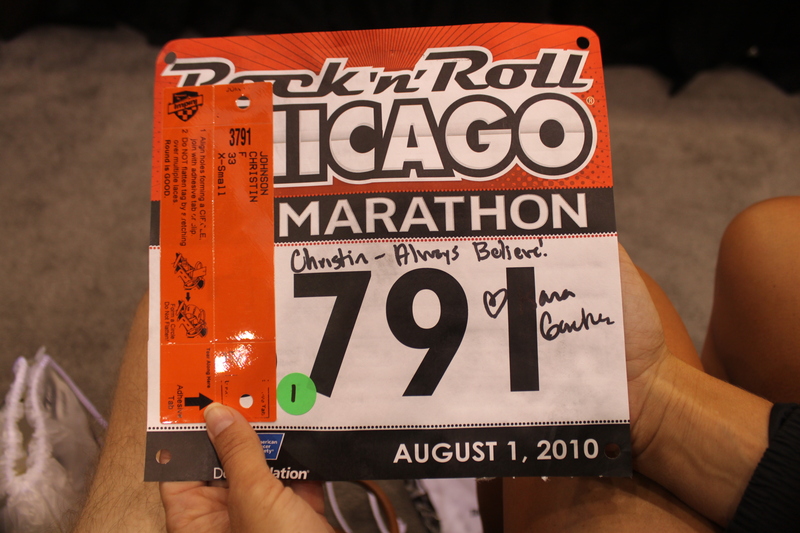 I was also able to get her autograph on my bib. Unfortunately I didn’t notice that she wrote my name as it was on the D-tag, which was missing the “e” at the end, oh well. We thanked her and then settled in to hear her interview and it was very informative. The things that stood out most about her talk was how she was never really great at any other sport she tried growing up, and how running was something she felt she knew was right for her. 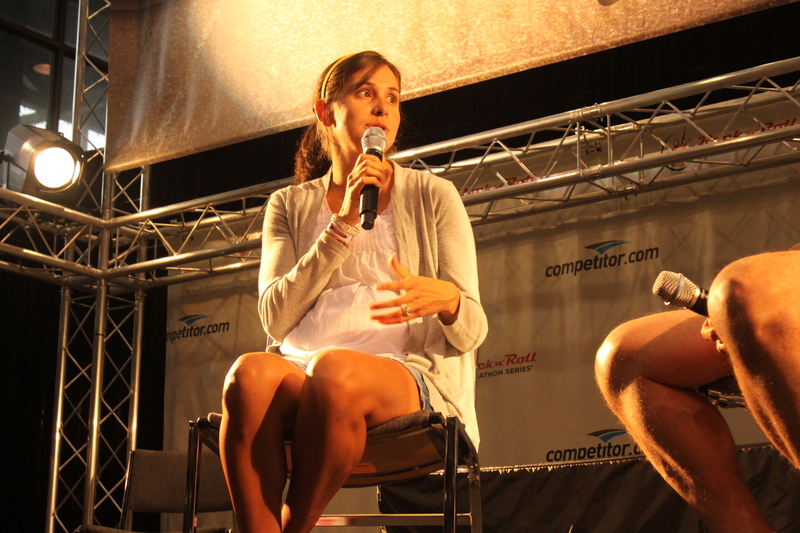 She described the ups and downs of her college and professional running career. It was interesting to hear how she has had years of success, but also periods of it not coming together. There were times where she could have accepted her placing in a race, but instead has pushed herself to say that anything is possible and break the mold of predictions that others have set for her running. She gives off the cool laid back chic runner vibe even while she is a top American female runner who is creating an amazing career for herself and the sport. It never felt like she was from some other universe of running, her kindness and warm personality really made me feel like she sees us as much a part of the sport as she is. Afterward we did a 6 Mile Easy run next to Lake Michigan, it was amazing! It was so nice to be on the road again instead of a random treadmill. I felt my legs come back somewhat. I am still not sure that my legs will be race ready tomorrow though. After our run we got cleaned up and met up with our new friends Mike and Mandy at Navy Pier. We met them at the concert last night, they are so nice! 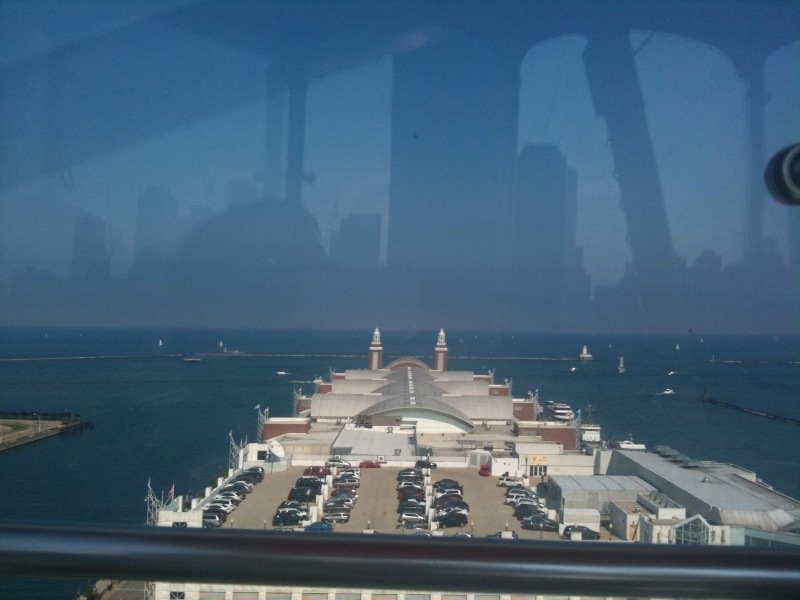 None of us had been on the ferris wheel at the pier so we did that and visited for a while before they headed home. 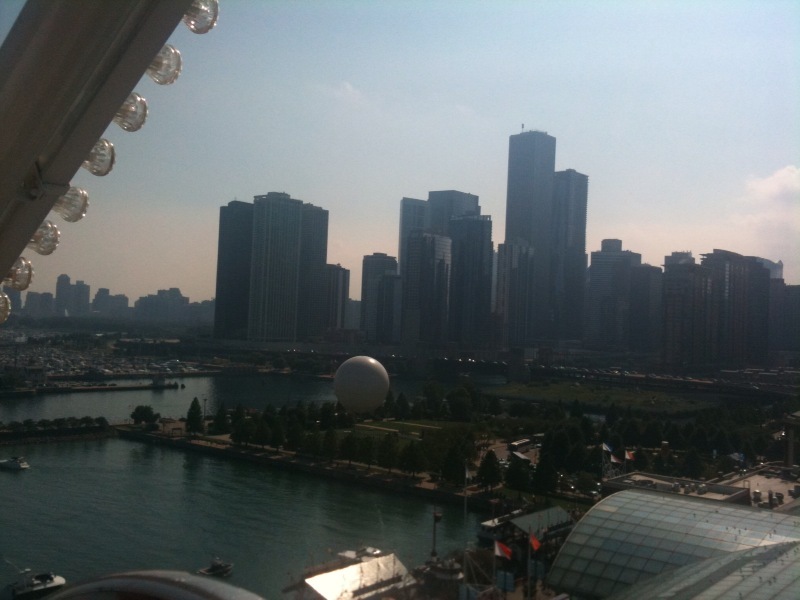 Pictures from the ferris wheel. Now it’s time to relax and try to get into race mode. I hope it all goes okay tomorrow! 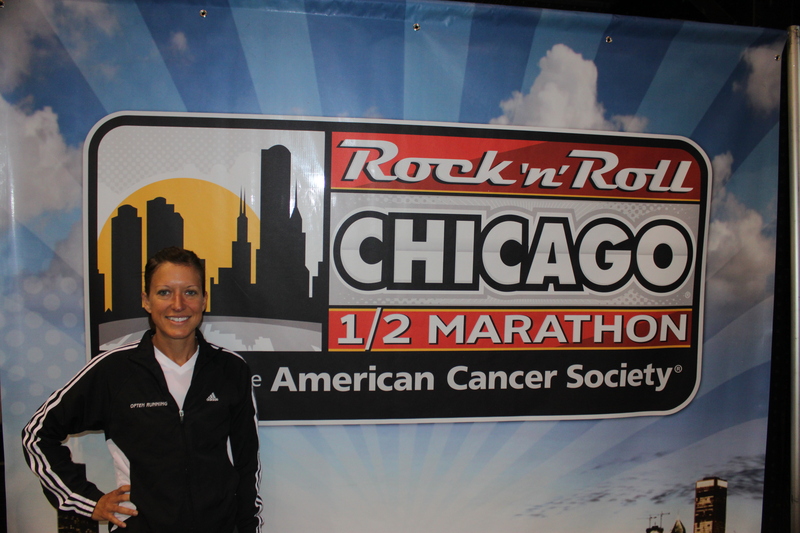 Categories: Expo, Out and About, Rock and Roll Chicago Half Marathon | Permalink. ahhhh so exciting! ive missed you! Miss you too!! We need to meet up for lunch!